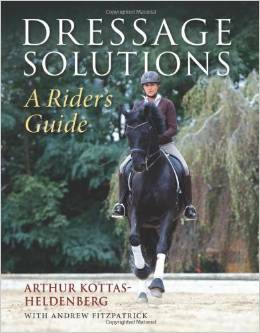 Taken from the book Master Dressage – Please share this article with your friends so they too can download the spreadsheet. Spreadsheets? For Horses? What will the world come to next? Well for one, we are all busying around with an iPad videoing our horses, so a little more software technology is not too out of place. This method is simpler than it sounds, if you know how to use a spreadsheet. Click here to download the spreadsheet for yourself. Firstly, this method works well when you are doing 3 or 4 tests in a short space of time and all at a similar level. Down the left hand side of the spreadsheet, the Y axis, you list all of the typical movements found in the tests you are doing. This includes circles, turns, transitions, lateral movements and so on. Across the top, on the X axis, you have repeated groups of the following headings: Date, Comment and Mark. It is possible to add in Venue if you are doing a lot of competitions and you get different comments or marks depending on venue. Do we get higher or lower marks for different paces. Do we get penalized on specific circle sizes or movements. Is there a difference depending on which rein we are on? Is there a theme in the comments among similar movements such as downward transitions, upward transitions or circles? What do we tend to score highly on? These items will be easy to see, for all we need to do is look at a movement, let’s say circle right 10m diameter, then look across the spreadsheet at the 3 or 4 comments and marks we got for it. 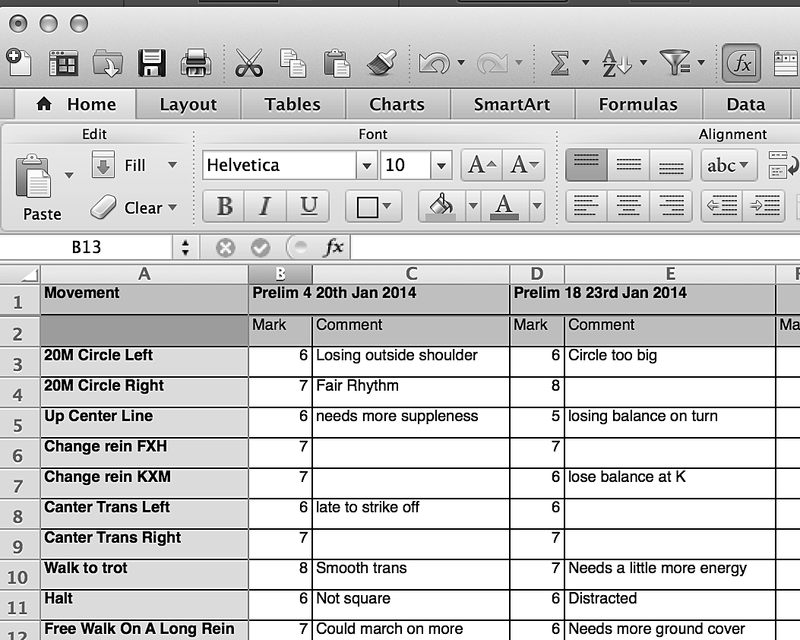 Not only can you use the spreadsheet to analyse areas for you to work on, but you can also begin seeing improvement and progression over a period of time!